We received our box! We are excited to get set up this week! 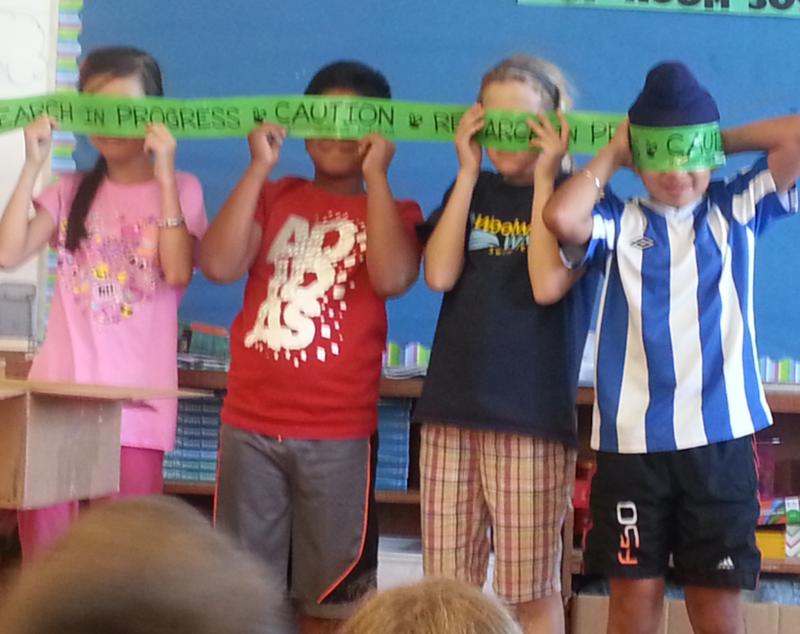 Students at Elizabeth Ziegler have fun opening up the “mystery” package! Our research period has come to an end. The research team did a final meeting and dismantled the trap and then compared week 1 and week 2 catch. The weather is getting much cooler, therefore we are seeing fewer insects. Frost had spread on roofs Friday morning. 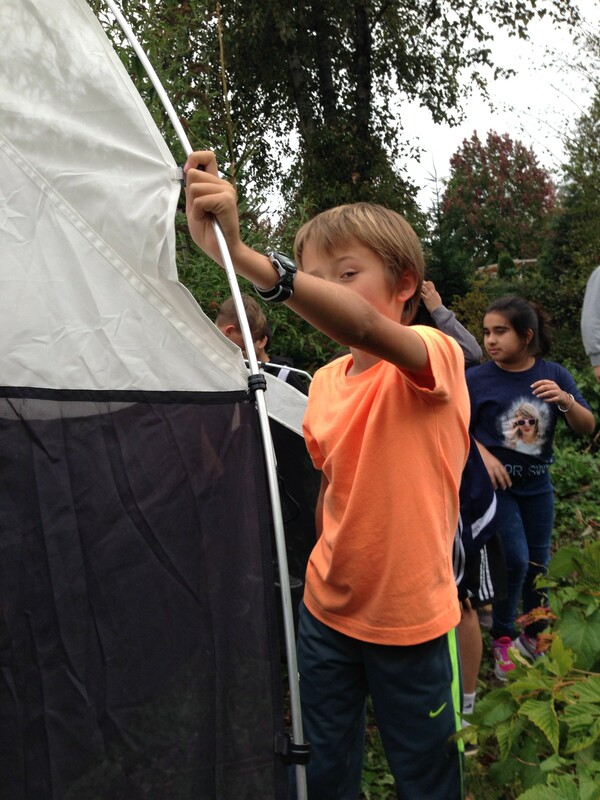 We are so thankful that our school was chosen to participate in the School Malaise Trap Program and we cannot wait to see the results of our research! 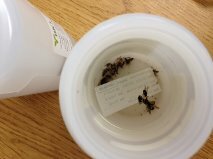 Last week we caught what we believe to be perhaps around 100 insects (some are very tiny!). The weather today is rainy, and the rest of the week looks to have tumultuous weather, but we are hoping to see more bugs out there! The new jar was set up this morning around 8:30am. Also, just for fun, we saw this super huge Crane Fly last week on our main building! 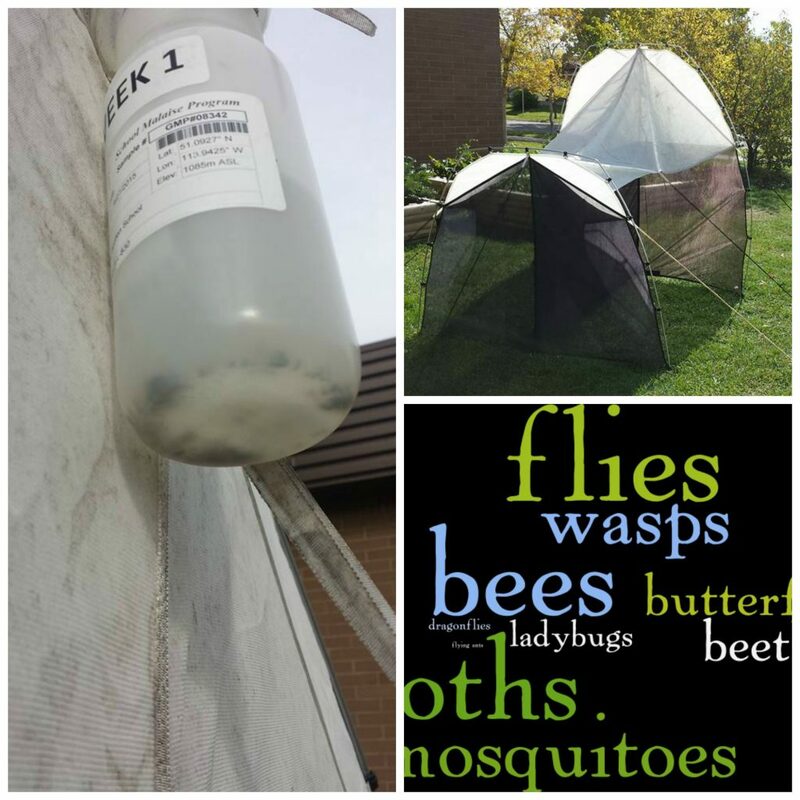 Our ‘Bug Researchers’ have been hard at work! Paving a way for bugs to get trapped is a tough job but someone’s got to do it! 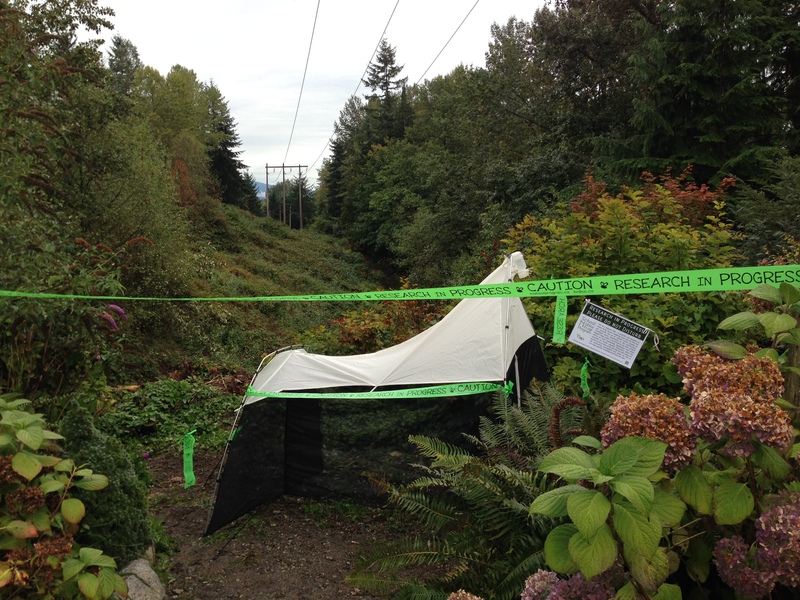 Our team of insect researchers were busy making signs, monitoring and guarding our trap. Things have been cooling off and we don’t seem to be getting as many samples as we had expected. Possibly 30-40 specimens. We are looking forward to next weeks collections! Father Scollen’s Malaise Trap Up an Running! This is the class 5/4D at Father Scollen reporting in. Our trap is up and running as planned and we wanted to share our experiences so far. 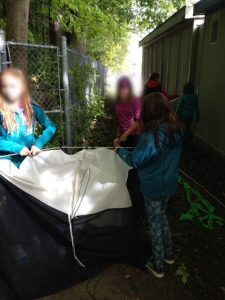 Last week, before we set up the trap, everyone in our class wrote down five insects that they thought we might catch in our trap. Mr. Drew (our teacher) made a Wordle out of it. The larger words are words that came up the most in our estimates. 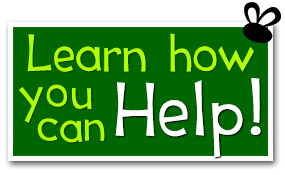 You can check out the wordle, as it is attached to this post! On Monday, the students here in our district unfortunately had the day off, as it was a professional development day for teachers. Because of this, our students didn’t get to see Mr. Drew fumble with all the poles and stakes while erecting our Malaise trap. 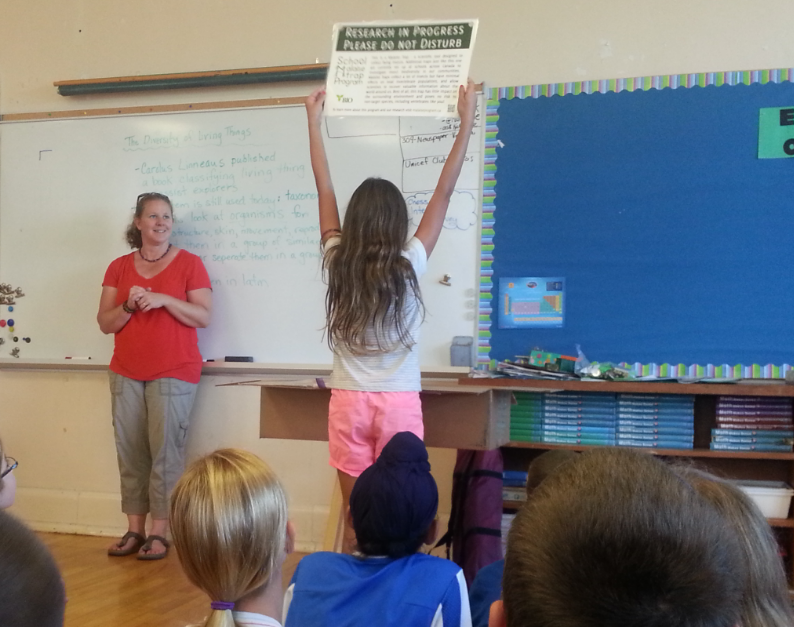 It was a two person job for us, as our grade 3 teacher assisted him (and probably did all the work). On Tuesday, may of us noticed the trap was set up as we were walking to school. 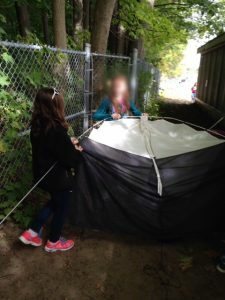 The trap is located near the corner of the school and is visible from the sidewalk many of us take when we are walking to school. 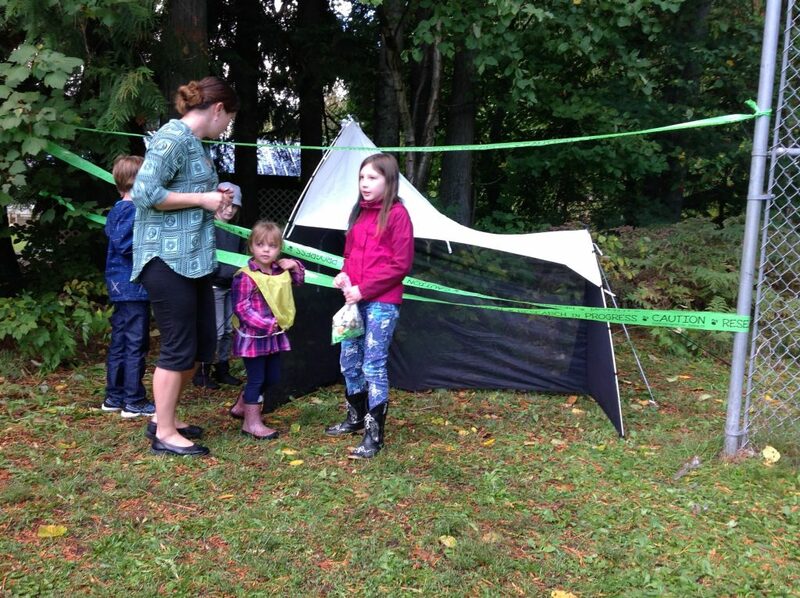 It reminded a lot of us of a camping tent. We had an awesome field trip that day in which we got to go to a real life wetland located right here in Calgary. As a result of the field trip though, we didn’t really have the opportunity to go out and look at the trap closely during class hours. Many of us did check it out for a closer look after school though. 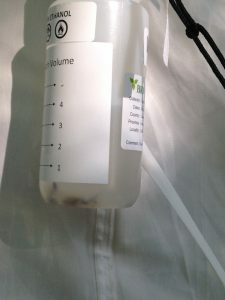 Today (Wednesday) we finally were able to go out as a class to examine the trap, see how it works, as well as witness how many bugs we’ve captured in our bottle so far. 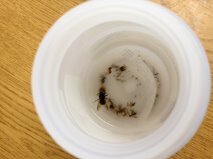 We were all pleased to see that there is already quite a few creepy crawlies in our collection bottle. We estimated that there may be around 50-100 in there, but it is very difficult to tell. We will be sure to check out the trap tomorrow around the same time to see how many more specimens have been caught and we’ll be sure to keep you updated. Father Scollen 5/4D Over and Out! Today was our second day with the trap. 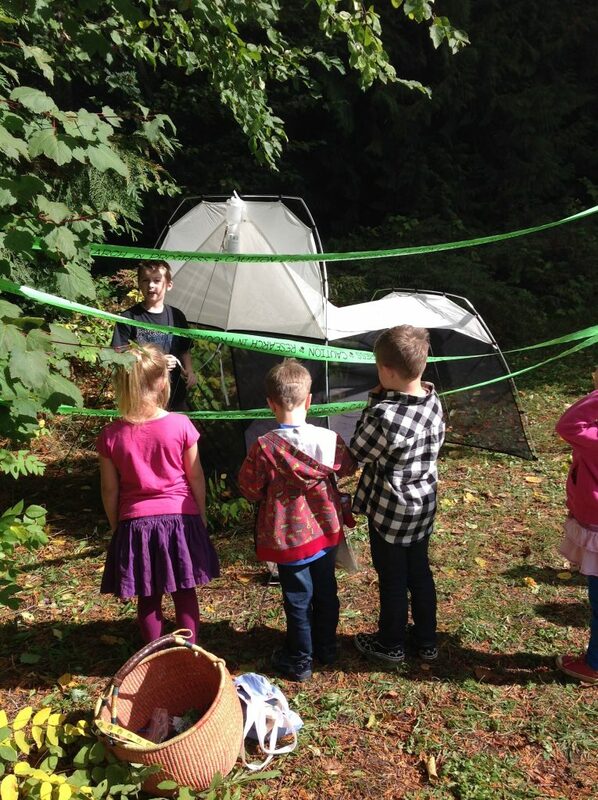 There were lots of tiny bugs, and a couple of big ones. It was sunny today, but pretty cold. I saw a white spider, but I don’t know if it went into the trap. 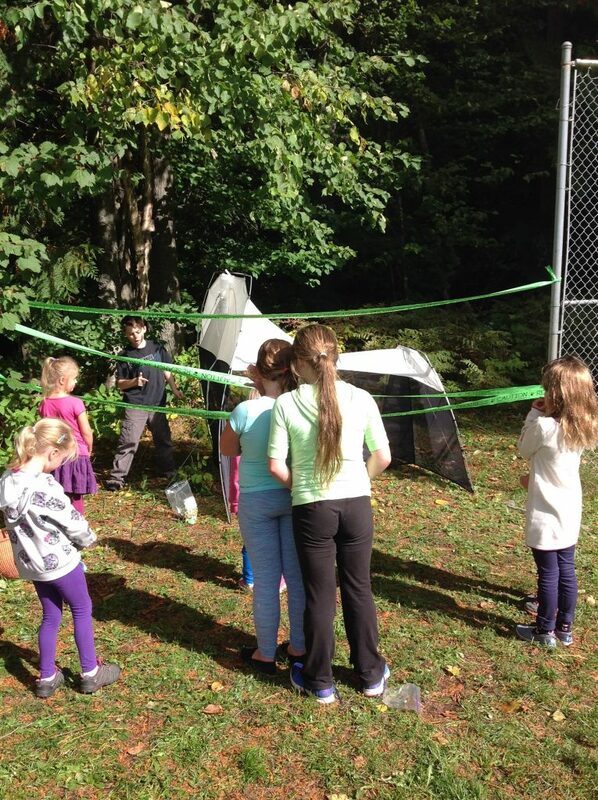 There’s a lot of grade threes and some Kindergartens who are interested in the trap. It’s really cool that our school got chosen to do the Malaise program! 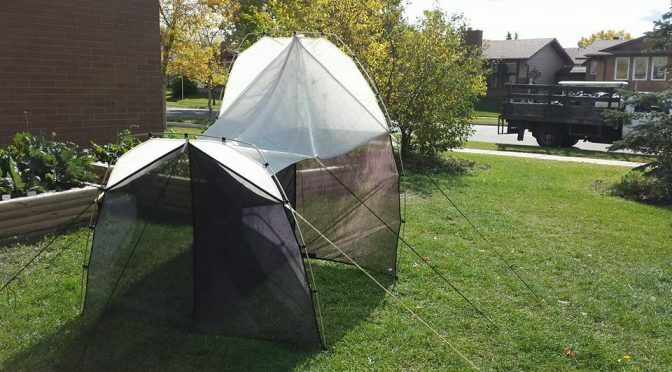 A Malaise trap is a type of bug trap used by Entymologists For Research. They get bugs with it it is made up of black and white mesh bugs can’t see the black mesh but they fly to the white mesh into a hole in a canister of Ethanol the fumes of Ethanol puts the bugs to sleep and preserves their bodies. 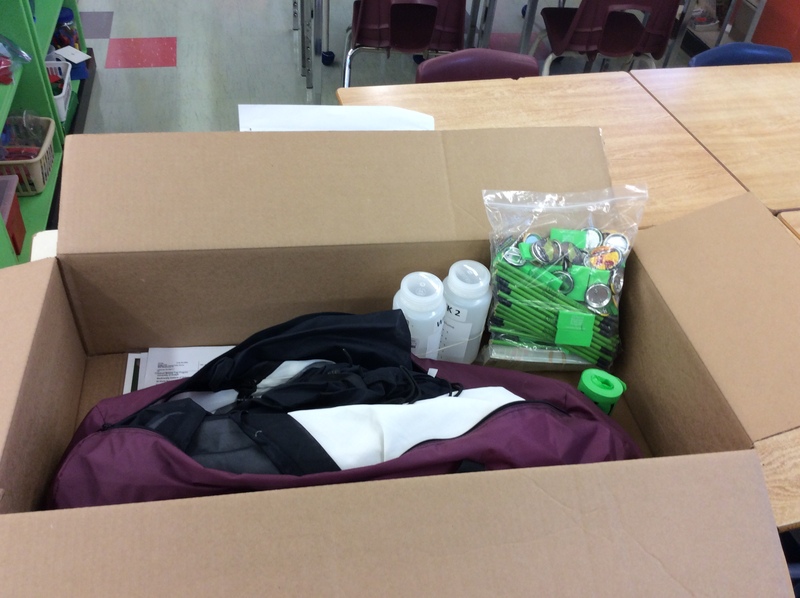 Brooksbank in North Vancouver, BC all set! 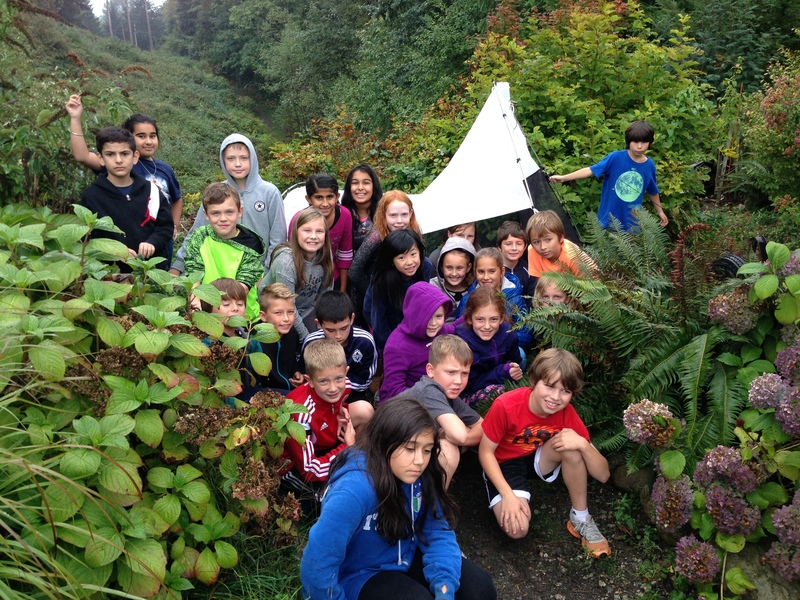 Glad to report that our Grade 5 class has set up our Malaise Trap last Friday, and it weathered a very windy and rainy North Vancouver weekend. The collection bottle has now been added, and we’ve seen flying insects in the surrounding bush and gardens nearby.